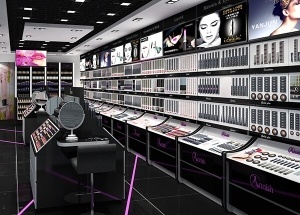 This makeup store design project was located in Dubai. 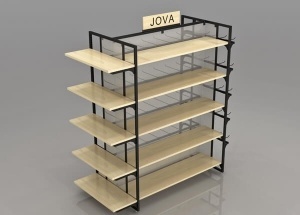 A whole cosmetic shop furniture finished in 20 days. 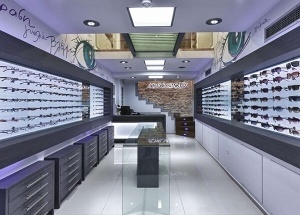 contact us for the latest design for cosmetic shop. 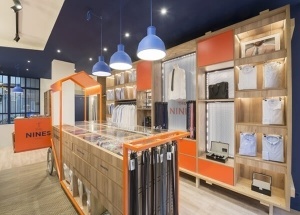 This aromatherapy retail displays were made for Aromatherapy store project located in UAE. 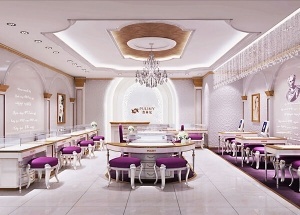 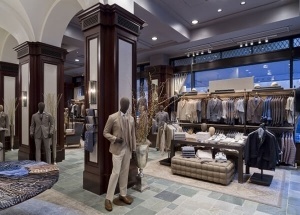 Just tell us your requirement, our shop designers do the jewellery shop interior 3d for you. 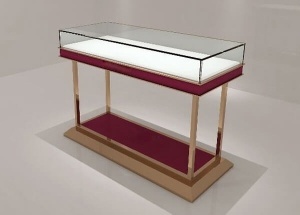 We custom made the jewellery showcase for your project. 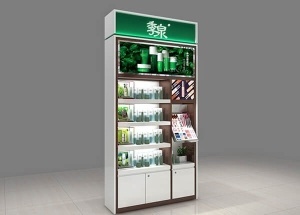 This fragrance display cabinet is used to display perfume,skin care product,makeup in perfume shop,makeup shop.The display stand is made by wooden(MDF),tempered glass,metal fixture,LED lights,light box,etc.